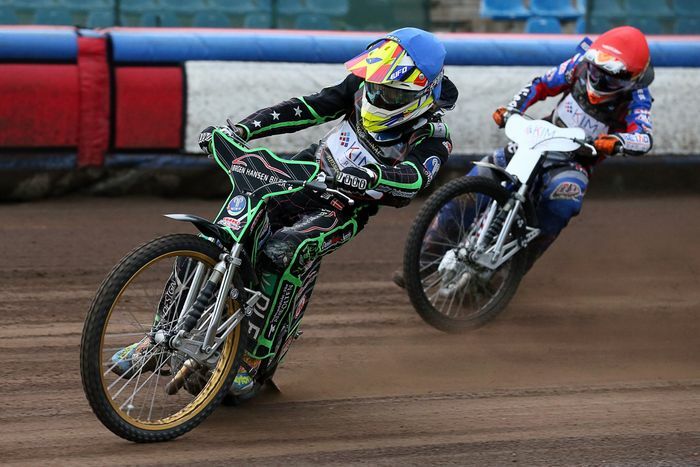 Eisspeedway Journal: YOUTH PROGRAMME: YOUTH TO THE FRONT! The intention of the scheme is to give the young riders the opportunity for real competitive track action with a Gold Trophy or World Championship at stake. The opening competition is the FIM Speedway Youth World Championship with two semi-finals to be held in Gdansk on 4th July and a final two days later in the splendid Motoarena in Torun. Open to riders between 13 and 16 years of age it is raced on full sized 500cc machines. 14 countries are represented, and the full starting list can be found attached. The field is very open and promises an exciting series of races. On the following day, 7th July the action moves to Wittstock in Germany with the FIM Long Track Youth World Cup for riders in the same age group. This is a smaller field with 15 riders entered by seven nations and a full list will be found attached. The programme continues with the FIM Speedway Youth Gold trophy to be held over two days in Rybnik, Poland on 28th and 29th July on 85cc machines. These later dates have been selected to accommodate school holidays as riders aged between 12 and 16 will take part. A full list of participants will be published in due course. The concluding event will be the FIM Track Racing Youth Gold Trophy for 125cc machines which will be run in Morizes, France on 1st September on the same day that the Team Long Track World Championship takes place giving the riders the chance to ride in front of an encouraging crowd and the spectators an opportunity to see the potential stars of tomorrow at the beginning of their careers. The FIM Track Racing Commission is committed to the development of young talent and will continue to encourage and support the riders in their efforts and the clubs who organise the events. We look forward to some exciting races and the enthusiasm which these young riders bring to the track.